Technology that delivers Many-to-Many simultaneous communications. Talk, move & work without pushing and holding buttons. Speak, whisper and shout with the same clear sound regardless of environment. Simple setup in less than one minute. Just turn it on and go. Switch in and out of Talk Mode. Up to 43 Speakers & unlimited Listeners. All weather, military tough & ready for the most rigorous conditions. 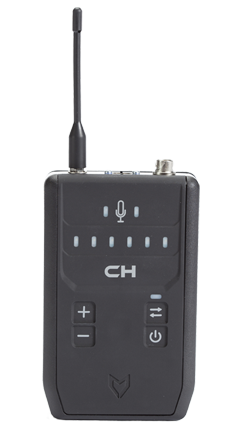 Formed in 2011, MULTIVOICE™ has developed the first Wireless Mesh-Network Intercom™, a solution that enables simultaneous and secure group communications among fearless individuals in rigorous environments. The company has also announced the MV-FUSION™, a new solution that unites the many-to-many, Full-Multiplex™ capabilities of its Intercoms with both Push-to-Talk Radio and Cellular Networks, with other products planned for the latter half of 2015.